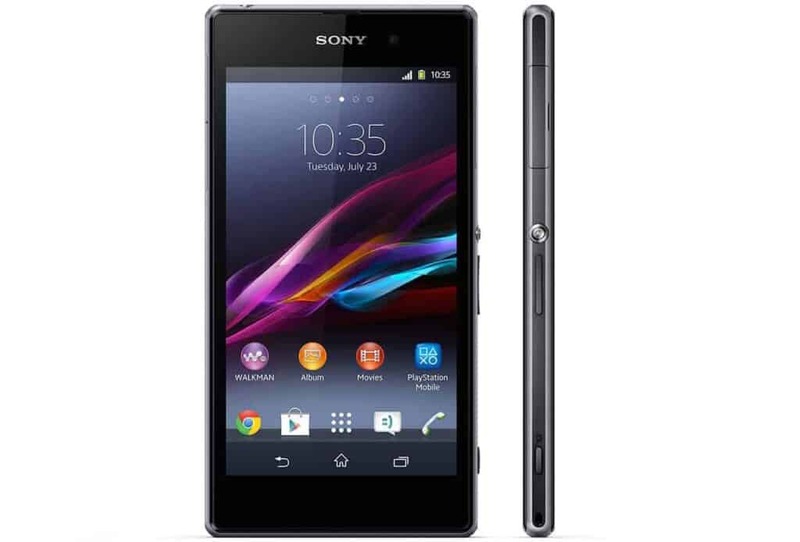 Why Sony Xperia Z1 is a Popular Choice! A phone that has been blessed with wonderful looks can’t be behind in catching up with your lifestyle needs at speed! Sony Xperia Z1 is powered by 2.2 GHz Quad Core Processor with Snapdragon 800 Chipset to help you navigate through a different set of applications at a single time without making you wait or giving you any hanging issues. The chipset ensures that you switch on and off between different apps simultaneously and the 2GB RAM only adds to the super fast performance by giving you a smooth user experience. More and more people are turning to camera rich phones because carrying a different digi cam for taking photographs can be really difficult at times. Plus when they have their phone in pocket, it is much easy to capture a moment without letting it evaporate. Sony xperia Z1 has a rear camera of a whopping 20.7 mega pixels to help you take sharp and beautiful images without making them look blurry upon zooming them and viewing them in detail. The macro mode takes subject’s details delightfully. Since the camera even has LED flash light, it won’t be a trouble anymore for you to take good images even in dark. The geo tagging and image stabilization technology further add to the photography experience. The front camera has 2 mega pixels which is decent enough to take your selfies clearly. Smartphones have derived their name for a reason! People are making smart use of them by accessing apps to make their life easier and simpler, capturing memories, downloading songs, watching movies, sending mails, playing games and doing what not! All these things come with one limitation i.e. they require ample space for their storage. This limitation gets removed via this phone as it holds 16GB internal memory space which is expandable up to 32GB to handle your never ending storage needs. Get this tempting phone at tempting offers to lower your purchase amount through amazon coupons present on CashKaro.com. Now when you are using your phone so much and are constantly glued to it, you don’t want to get frustrated by seeing low battery signs on your phone every now and then. Charging phone again and again can also decrease its performance over the time. Sony Xperia Z1 has a powerful 3000mAh battery which provides up to 13 hours 50 minutes of 2G talk time and up to 15 hours of 3G talk time. Now indulge in long chatting sessions or play games for hours without any interruptions. Do you know you can buy this powerful phone without breaking your bank by availing Paytm coupons via CashKaro.com which will fetch you discounts as well as cashback.